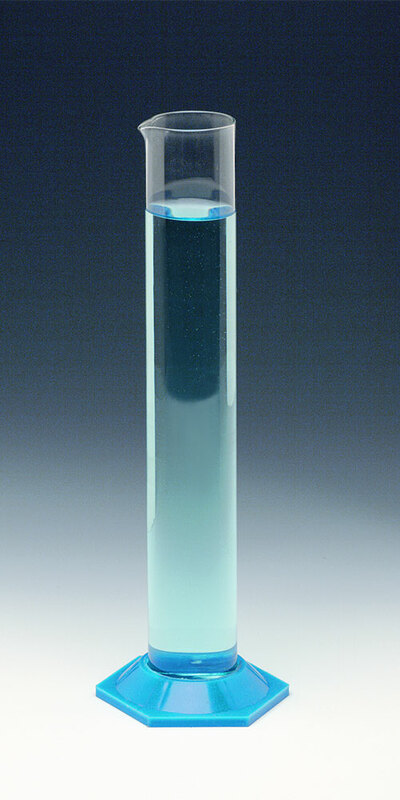 These graduated cylinders may be certified NIST traceable if desired. Constructed of durable, heat resistant borosilicate tubing, with strong integral base. With pourout lip. Nalgene Hydrometer Cylinder, ungraduated, transparent, 500ml capacity, 2.03 dia. x 15.6 in. (50.8 x 390mm), with pour spout. Broad base for stability. Constructed of durable, heat resistant borosilicate tubing, with strong integral base. With pourout lip. Calibrated to deliver. White graduations.